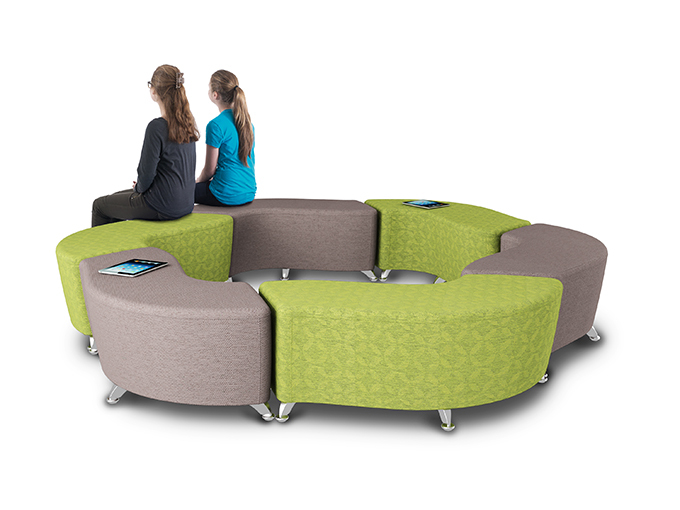 The zioxi s42 Wave soft seating can be used as individual double seats or fitted together to create circles, clovers and wavy lines – the cleverly angled shape means you can create lots of interesting shapes and lines. The zioxi s42 soft seating designs provide endless possibilities. The zioxi s42 soft seating is available in a wide range of colours and fabrics. 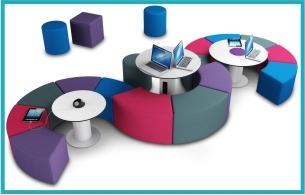 Great for LRCs, reception areas and any informal, more casual open plan spaces.